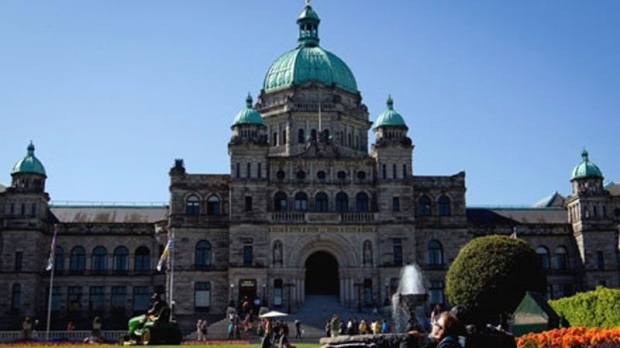 VICTORIA - British Columbia's main political parties must do a better job telling people about the information they're collecting about them, says the provincial information and privacy commissioner. Michael McEvoy said Wednesday he's giving B.C. 's New Democrat, Liberal and Green parties six months to become more transparent with people before deciding if a detailed audit of party systems, databases or practices is required. The province's Personal Information Protection Act requires political parties to obtain consent from individuals to collect, use, or disclose information about them, said McEvoy. He said no other province or the federal government requires political parties to adhere to privacy laws similar to those in B.C. McEvoy said when political canvassers appear on the doorstep or call a member of the public they must tell them that the information they provide could be used by the party. He said political parties must also tell people when they sign petitions, their names and information could end up being used by parties. “They should prominently provide a succinct and simple explanation of the purposes for gathering the personal information at the point of collection,” said McEvoy. The commissioner's report, released Wednesday, concludes all three political parties have inadequate privacy training and must ensure the same effort goes into protecting personal information as is put into its collection. He said robust communication with voters is vital to a party's existence, but it must be fully transparent with people. “A one sided dialogue in which the public is kept largely in the dark about the significant amounts of personal information collected and used about them is not sustainable legally or ethically,” says the report. “Political parties, from senior party officials to volunteer canvassers, must stand ready to demonstrate compliance with their privacy responsibilities. This includes everything from being absolutely transparent about the personal information they collect to providing individuals full right of access to their own information,” the report says. The report makes 17 recommendations for all B.C. political parties, including ensuring the parties tell people the purposes for gathering their information at the point of collection. McEvoy says in the report he intends to work with B.C. 's chief electoral officer to find ways to strengthen parties' understanding of their obligations under the Personal Information Protection Act before they receive the updated provincial voters' list, which contains 3.3 million names. Green spokesman Stefan Jonsson said his party is looking at the report, but has already been making improvements to the security, privacy and integrity of the personal information it gathers. The B.C. Liberal Party said in a statement it is committed to respecting and protecting the privacy of B.C. residents. The provincial NDP could not immediately be reached for comment.